Get a $250 Discount on a Stellar Website! We love to support businesses in the area, especially Greater Lowell Chamber members! 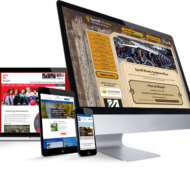 If you’re a GLCC member, let us know you saw this discount on the Chamber website and we’ll give you $250 off any estimate for a custom designed and built WordPress website, starting at $2,499.00 Thanks!